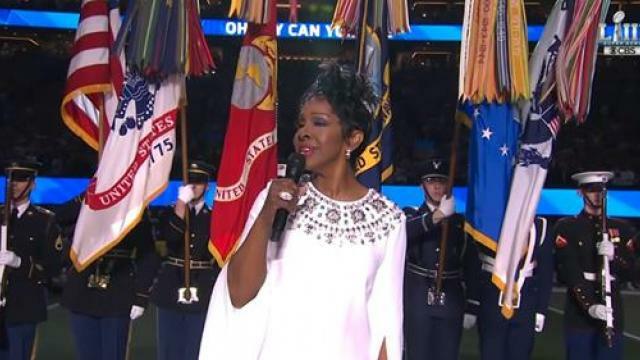 You don’t get to be known as the “Empress of Soul” without delivering the goods the way Gladys Knight did at the Super Bowl in Atlanta on Sunday. In a game that was very charitably described as a “defensive battle” between the New England Patriots and Los Angeles Rams (when it was charitably described at all), the musical performances were actually the high points of the night. 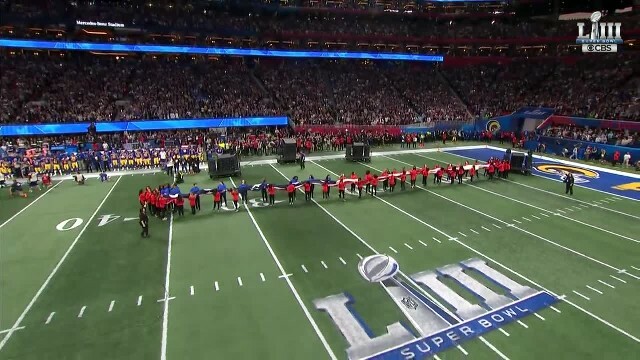 This may have been a surprise in the case of halftime headliners Maroon 5, but when it came to Knight’s rendition of the national anthem, it was only a shock if you’d forgotten how amazing the “Midnight Train to Georgia” singer really was. However, stealing the show was a group of heroes who were just on screen for three seconds during “The Star-Spangled Banner” — and who reminded us not what so proudly we hail so much as why we hail it. The footage was of the men and women of the 2nd Infantry Division at Camp Humphreys in South Korea, including soldiers from both the United States and the Republic of Korea. It was a short clip, just long enough to show the soldiers standing at attention. However, a cheer went up from the crowd as the image of the soldiers flashed on the screen. “It was an absolute honor to represent the country,” Maj. Jason Harrington, a Patriots fan hailing from Abington, Massachusetts, told Stars and Stripes. “It felt rewarding. 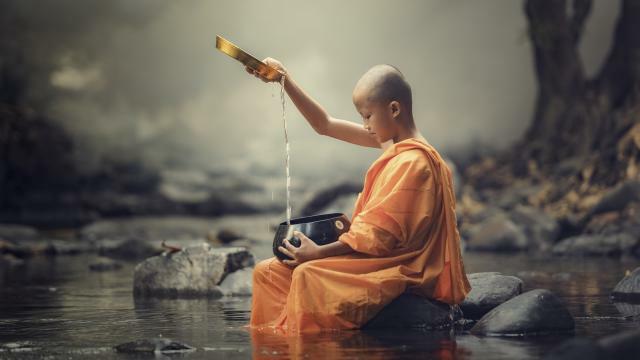 It made me feel better about being away from my family,” 22-year-old Pvt. Searcy Storey, who was spending his first Super Bowl away from Fort Worth, Texas. Given the time difference, the men and women watching at Camp Humphreys were actually watching on Super Bowl Monday, gathering in the pre-dawn hours. “Many said they were motivated by the chance to be on TV as well as an offer of a day off in exchange for showing up,” Stars and Stripes noted. Maj. Gen. Scott McKean, the division commander, also played a part in the pre-game coverage, appearing to ask CBS commentator Nate Burleson about the San Francisco 49ers’ chances next year. While similar coverage has obviously been given to the military during the big game, it’s the first time that the 2nd Infantry had been given the honors. Our men and women in uniform standing at attention in honor of the national anthem was certainly one of the things that everyone could cheer for. Gladys Knight was, too. Putting the two together was that much better. It was another reminder that our troops are the reason we can sing the national anthem or have the Super Bowl — and the service and protection they provide didn’t go unnoticed inside Mercedes-Benz Stadium in Atlanta.